Xperia Z5 series to get Android 6.0 Marshmallow in January? 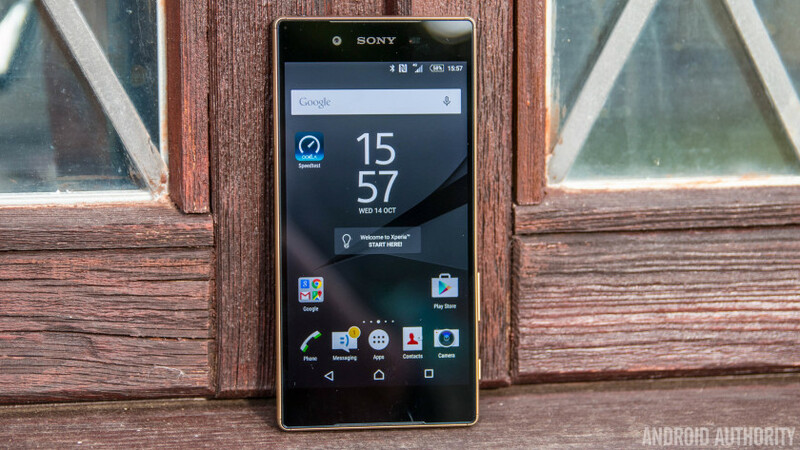 Sony Xperia Z5 series to get Android 6.0 Marshmallow in January? While it’s not explicitly stated, it can be assumed that unlocked variants will see the first signs of sugary, sticky sweetness, with carrier variants having a delay as is typically the case with any and all firmware updates. Those who purchased the Z4/Z3+ just months early might feel a bit upset they aren’t part of the new update’s initial phase however it will presumably follow after, as will possibly other Z-series devices. It is unclear just how far back in the hardware catalog Sony will extend the updates to. Perhaps the question on everyone’s mind is what kinds of benefits the new Android OS build will bring with it, given the changes in power management owing to Doze, Marshmallow’s power optimization architecture that seeks to severely negate battery drain when a device is not in use. Sony has already promised exceptional battery life on the Z5 series as is, thus the enhancements provided by 6.0 should theoretically make it even better. Related, there is also the issue of just what will happen with the Xperia Z5 Premium‘s 4K display. As Marshmallow, unlike Lollipop before it, does include support for such a high native resolution, in theory the smartphone should be able to run at the 4K resolution full time. Currently the phone operates at Full HD when not performing a specific set of tasks that would activate the superior resolution, namely displaying 4K video or images. Unfortunately nothing is likely to change given the Snapdragon 810 SoC inside and the battery situation. Qualcomm’s 2015 flagship CPU has been the subject of a large degree of scrutiny and criticism which has ultimately led to OEMs avoiding it. Sony has been one of the few to actively embrace the silicon, however given that it tends to run warm even without 4K, it would seemingly be a potential problem were tasked with powering such pixels 24-7. Likewise there would be a significant toll on battery life. Given that the situation has yet to be confirmed by Sony itself, we encourage readers to remain somewhat skeptical. Likewise, it is impossible to say what will happen to battery life and the 4K display issue until the official update is made available, or at the very least Sony issues a press release to clarify. With that said, are you looking forward to the potential bounty of benefits Marshmallow will bring to your Xperia Z5? Leave us your comments below and be sure to let us know! Special thanks to Evan for the tip!